Thank you for visiting Bark Busters Home Dog Training Newport & East Valleys. 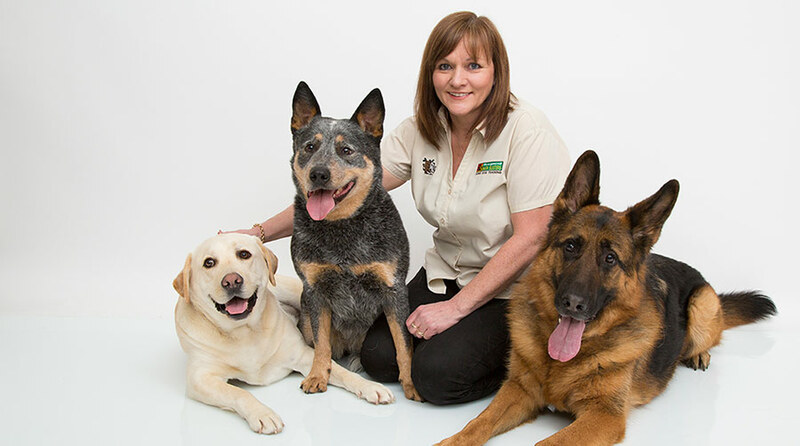 My name is Gina Hinsley, and I am your local dog behaviour therapist and trainer. If you are reading this, you are probably as passionate about your dogs as I am. But you are possibly struggling with aspects of his/her behaviour that you can’t seem to control. 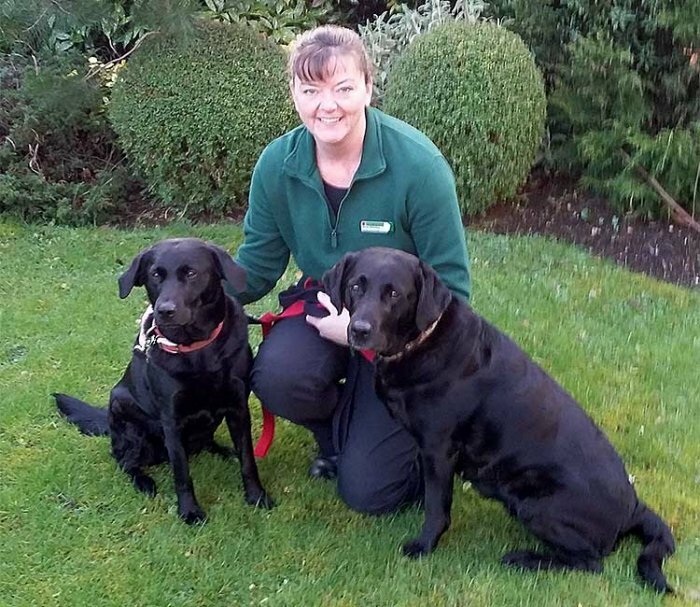 Knowing that I can help you gives me great job satisfaction and proves to me that I was right when I took the opportunity to fulfil my ambition of working with people and their dogs as a Bark Buster Home Dog Training therapist. I can help you whatever problem(s) you are having with your dog’s behaviour. Very often we think our dog is not listening to us when, in fact, our dog is listening but the information we are giving is confusing. Our training programme is based on the principle that we need to communicate with dogs in a way they understand. We keep it simple and straightforward, clearing the way for you to have a better relationship with your best friend. You will very quickly master our system and communication and this will give you the confidence to practise consistently each day and build a lasting bond with your dog. Before becoming a Bark Busters therapist, I worked for many years in the corporate world. This means that I possess the skills needed to coach people and to build the confidence and skills of the clients I work with. Through my advice and guidance, you will be able to retrain your dog and address the issues that are may be spoiling your relationship. Whether your problem is simply mastering lead work, or as challenging as dog/human aggression, or separation anxiety, our communication-based training methods will help you to achieve your goals. I speak from personal experience, having owned many dogs throughout my life, all of whom were challenging in various ways. Like you, I always wanted to do the best for my dogs, but sometimes I wasn’t sure how to go about it. There is so much confusing and conflicting advice out there that I wasn’t sure where best to turn. Once I was introduced to the Bark Busters method of dog training I realised that I had been making simple problems complicated, and that this easy, fast and effective approach was all that was needed to make the changes I needed. I can also help you if you are thinking of getting a puppy or a rescue dog and would like to start as you mean to go on. Your training plan will be tailored to your needs and those of your dog. You will be prepared for potential future issues and know how to deal with them. Our puppy training is based on learning through play; it also gives you all you need to know about owning a happy, healthy puppy. Every programme starts in your home and is designed to suit you and your dog. I will help you to identify the way forward, and to show you how to use our system, allowing you lots of opportunity to practise and perfect your techniques. I will also be able to show you how your dog is beginning to respond to you differently, now that you are learning to communicate with him. I will leave you with a training plan to work through. Our Support Guarantee gives you peace of mind knowing that I am here to support you in your training programme and to help you with any problems, returning free of charge for the duration of your guarantee.